This post does contain affiliate links. I will be compensated for purchases made through my links. Thanks for supporting my little business! I never really know how to respond to this question. Honestly, living on one income is all I’ve ever known. My oldest was born one month after I graduated from college and I chose to immediately become a stay at home mom. My husband is a good and hard worker, but he is also a blue collar worker and he does not earn a large paycheck. We have had many financial ups and downs and I have had to learn to change from a natural SPENDER to a SAVER. It has not always been easy, but I have learned a few things along the way to make it more doable. As a Stay At Home Mom (SAHM), I do not earn a physical paycheck. But, that does not mean that I don’t contribute to the family finances. I consider it a large part of my job to stretch my husbands paycheck as far as I can. A SAHMs paycheck comes in the form of saving money, budgeting smartly, spending less instead of more. Taking this part of my job seriously has helped us to save more and live more contently. At the end of every month we have a “Budget Meeting” where my husband and I sit down and discuss our finances and make our budget for the next month. It is not always easy to stick to this budget (especially not at first). But the more we kept working on it, the easier it has become and the more freedom we have felt. Having this budget keeps my money in check AND gives me freedom to spend without feeling guilty. We prefer to spend most of our money using cash, and that has helped us spend so much less! When you are shopping for your kids clothes, do not pay a lot of money! It’s hard to limit your spending with all these darling cute little outfits, but I promise it is a waste of money. Kids grow out of clothes so very quickly, they spend most of their time playing outside getting their clothes dirty…..and honestly, most kids (especially younger kids) do not care how much their clothes cost or what brand they are wearing. So why spend the big bucks on them??? If you are planning on having more children, save all of your kids clothes. That way when the next child comes you will already have plenty of clothing that you can use again. I organized all my children’s old clothes into boxes (diaper boxes work great for this!) or Tupperware bins (I can usually find these for pretty cheap at Walmart) and then I labeled them by the age and gender of the clothing, for easy access to them later. 2. When at all Possible buy USED! There are a lot of great options available right now for parents to be able to buy good quality used children’s clothing. My favorite option is a local children’s consignment store or an online consignment store like thredup. Check to see if you have one in your area and stop it regularly. Some days I leave without buying anything, but other days I leave with a bag full of like-new name brand items. A few other options are thrift stores, garage sales, and ebay. All of these are great resources, especially if you check them often. In the spring you can find winter clothes on a huge discount and in the fall summer clothes has a big discount. Buy a size up from what your child is wearing currently and save it for them to wear the next year. If you aren’t planning on having any other children and you have clothes that they have grown out of, SELL these items. They can be sold on Facebook marketplace, Thredup, the local consignment store or at a garage sale. If you are going to get rid of them anyways you might as well make a few bucks right!?! I have found some great deals on brand new clothes for good prices at both of these stores. Every week on Sundays you will find me with my pen and paper. This is the day I plan all our breakfasts, snacks and dinners for the week. Lunches are more of a loose plan and I just try to have sandwich fixings on hand at all times. Having a meal plan helps stop the temptation to buy fast food or go out to a restaurant to eat. When making your weekly Meal Plan look through ads at your local grocery stores to see what the stores have on sale. Try to plan your meal plan around those sales. It takes time, but it saves a lot of money. You know the saying, “If you fail to plan, you plan to fail.” Make a plan! Cook from scratch as often as possible. I still throw a frozen lasagna into the oven occasionally, but I have learned that the more I cook from scratch the more money I will save. Search Pinterest for ideas on snacks and meals to make. Cooking in the kitchen can be a fun family activity. My kids LOVE to help me in the kitchen! We turn on some tunes, dance and laugh together while we cook. I do think it is important to plan family travels. It is a great way to make memories and build friendships. But, you do not need a fancy expensive vacation to make memories. Explore areas nearby for your family vacation. Become tourists in your own area. Go camping at a nearby National Park, spend a couple of nights at a hotel for a “Staycation”, or explore a few local museums. Join Groupon and look for deals that you can use as a family. Your town just might be more interesting than you originally thought, and your kids will appreciate the extra time spent together. As a mom Pinterest is my go-to resource for finding kid activities and recipes. However, if you are trying to save money you should view Pinterest cautiously. It is far to easy to get swept away with the fancy decor and lavish birthday parties. These are fun, and I do not put down anyone who likes to go a little over the top for their children, but for those of us who are trying to save a few bucks it is not always the best route. Enjoy your time browsing Pinterest, but be careful not to get swept away in the pins that will end up only costing you more money. Sometimes it’s hard to see others going on exotic vacations and buying fancy new vehicles. But, I have learned that the best things in life are actually free. Try to find joy and contentment in the simple things in your life. Going on a family bike ride, dancing in the kitchen, and snuggling with my kids while reading books are all moments that I will treasure forever. No amount of money is worth more than these quiet times with my children. When we learn to find joy in these special free moments (something I am constantly working on) those lavish vacations won’t seem near as tempting. Such great ideas for us to work on. Looking forward to reading more! Such a great post! I too am a SAHM and living on one income. It can be so hard especially with a husband who likes to spend money! If is in the thought of our future when he finds good deals on things like tractors and parts (we want to farm), but it puts a dent in our budget! I am an avid couponer and have saved us a ton of money that way. I do find it hard to tell myself I am contributing by saving money. Thank you for the tips I will certainly be applying them! That is awesome that you have saved a lot of money couponing! That is something I’ve been wanting to get more involved with. These are great tips for everyone. I live on a single paycheck…my own. So being budget conscious is important for me too! Yes it is just as important! Thanks for sharing! 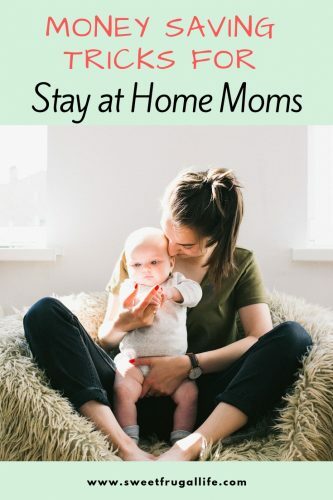 These are tips for all single income families, not just stay at home moms. 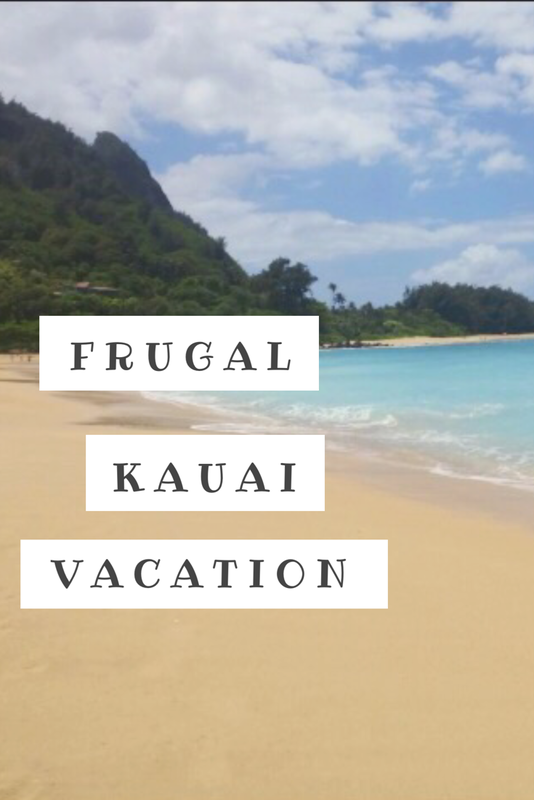 Travel Frugally and The Best things in life are actually free resonated so well with me. Thank you for this post!! Oh I’m glad you enjoyed it! Great tips we can all live by from time to time – even when there is more than one income. You are so right about Pinterest! It is so easy to get carried away. I love to see what I can do with what is already in my pantry instead – a little creativity goes a long way. Yes, sometimes all it really takes is a little creativity! Thanks for the comment! Thank you so much for sharing your wisdom! We are planning on going to one income soon and it’s scary but I know it’s doable and worth it! It is a scary step, but very doable! I love this. 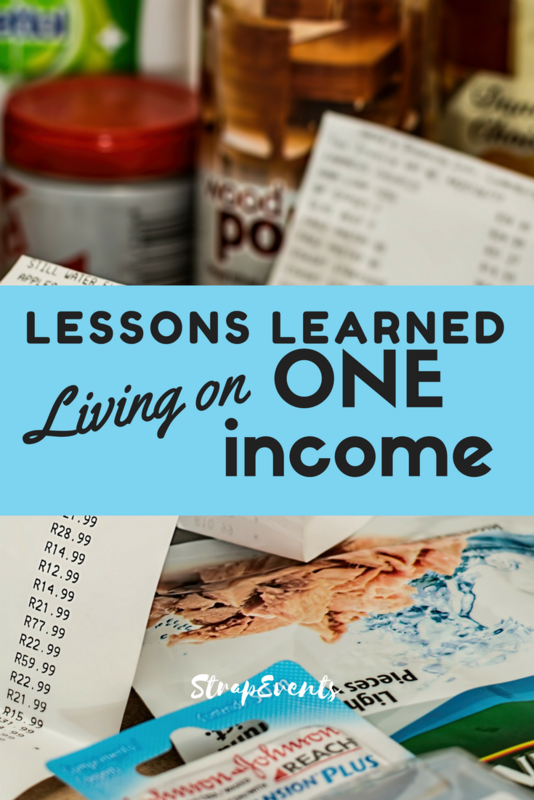 I too am a SAHM and have had to figure out how to live on one income. It’s just been a way of life and I wouldn’t trade it. As my kids get older I am seeing all kinds of lessons they have learned because we didn’t have money to just blow…frugality is not a bad thing there are many blessings that come from it. Thank you for your comment! I love that you’ve noticed your kids learning important lessons from a frugal life. What a great gift you’ve given them! I love that you included the caution about Pinterest. It’s so true, it is easy to get caught up on making things look perfect, which ends up costing a lot. 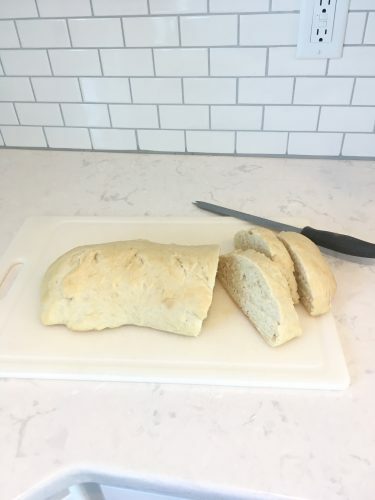 I find a lot of recipes I like on Pinterest, but it never fails that there are one or two ingredients that I don’t have, and would never use for anything else. 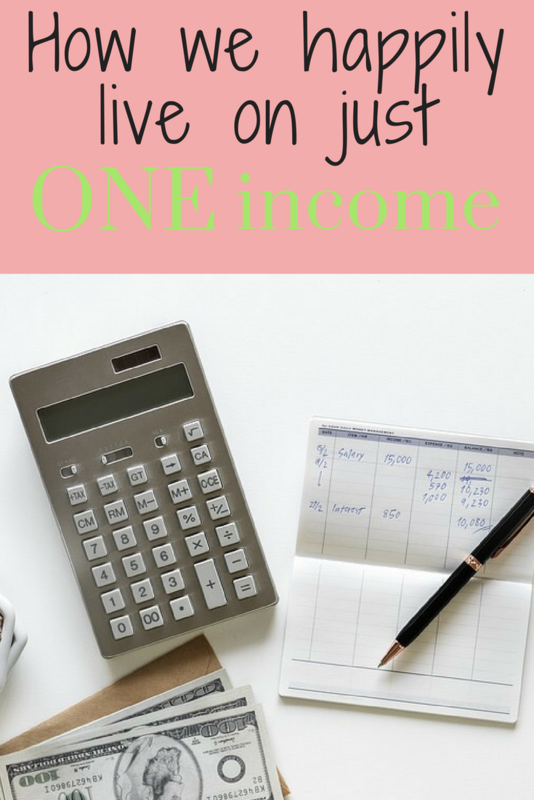 We also live on one income, it’s possible, and your post pretty much outlines how our family makes it work! It’s so great to hear of other families who make it work! Thank you!